Periodically we will bring to your attention other organizations or activities that we feel might be of interest due to their similarity of spirit or content. Join us on Friday, April 5, to welcome Gloria and Jamia Wilson, a leading voice for social change, at Revolution from Within, the launch of our Women Together Spring Series. Women Together was born out of the belief that true change begins within and that a powerful collective energy emerges when women connect with other women. Our series of daylong events gives us the tools to ignite lasting change—in ourselves and each other. This year’s retreat will focus on vipashyana and the awakening of prajna, which enables the practitioner to think clearly, to develop curiosity, and to question and engage with the teachings. Vipashyana, or insight practice, arises from the foundation of shamatha or mindfulness. Vipashyana extends the meditative experience into daily activity. It gives rise to prajna, or best knowing, which gives birth to the realization of egolessness and the open expanse of shunyata. Study will be based on volumes one and two of the Profound Treasury of the Ocean of Dharma, covering the hinayana and mahayana teachings of the Vidyadhara, Chögyam Trungpa Rinpoche. For more information about the retreat and how to apply, click here. The Garrison Institute was founded on the belief that action in the world is more compassionate and more effective when infused with the wisdom and skill cultivated in contemplative practices. Overlooking the Hudson River in a beautifully renovated former Capuchin monastery, the Institute convenes and supports those who are exploring the wisdom, values and insight gained through contemplative practices to catalyze personal and social transformation. Click here to see the list of retreats available. The New York Times published an article discussing serious allegations of sexual misconduct by Sakyong Mipham Rinpoche, the head of Shambhala International. Westchester Buddhist Center is not an affiliate of Shambhala in any way. The Sakyong has no title or role at WBC. However, we feel there is a need to make a statement regarding the accounts of abuse within the Shambhala community because we share roots in the 2500-year tradition of this lineage. We find the behavior described in these accounts to be completely unacceptable. As you may not know, we the members of the board of directors of WBC separated from Shambhala a long time ago in order to continue the practice and study of the Buddhist teachings that we were all drawn to in our youth. We feel deeply connected to the teachings begun by the Buddha, 2500 years ago, and transmitted through many lineage teachers, including down to Chogyam Trungpa, Rinpoche, our main teacher. We plan to continue teaching and practicing the Dharma in the same way aswe have done for many years at WBC. These transgressions have hurt all of us deeply. We believe that all organizations, including, WBC, must strive like never before to create and ensure a safe environment free of abuse, discrimination and inequity of all kinds. We don’t know what is happening at Shambhala International, but we hope for radically transformative change in that community. We know you may have questions about these events, and we will be here to talk with you further at any time. In 2018 Naropa University established the Chogyam Trungpa Institute at Naropa. Chogyam Trungpa founded Naropa University in 1974 as a place to foster both intellect and intuition, and to spark curiosity and deep inquiry. His inspiration to create a Buddhist inspired, non-sectarian University rooted in Contemplative Education and integrating Eastern Wisdom Studies with Western scholarship has infused the university and its development. From that vision Naropa became the birthplace of the modern mindfulness movement, while retaining deep connections to the world’s wisdom traditions. The Chogyam Trungpa Institute will provide a comprehensive digital platform as one avenue to access his extensive lectures, poetry and art. Naropa envisioned and is launching the Institute with the close collaboration and support of the family of Chogyam Trungpa Rinpoche, the Shambhala Archives and the ChogyamTrungpa Legacy Project. Carolyn Rose Gimian, the founding director of the Legacy Project, has been appointed as the first director of the Institute. For more information, please visit the Naropa University website here. LifeWork is a journey of inquiry around how we live and work, how we relate authentically, cultivate well-being and find purpose. This website is your portal into the LifeWork experience. We invite you to browse our selection of workshops and events, as well as our LifeNotes section where you’ll find curated videos, articles, exercises and everyday practical guides. New York Buddha Dharma is a Buddhist community dedicated to the practice of mindfulness meditation and Buddhist teachings. Founded by students of Chögyam Trungpa Rinpoche, its guiding principles are to continue the teachings, practices, and Tibetan Kagyü lineage of the Vidyadhara, the Venerable Chögyam Trungpa Rinpoche; to invite other teachers to teach, including visiting Rinpoches as well as seasoned student/practitioners; and to provide a community of friends with whom to share meditation practices and tread the buddhist path. www.newyorkbuddhadharma.org. The Aligned Center hosts meditation sessions every weekday morning, from 8:30 - 9am. Free and open to the public. The Aligned Center is a community space that offers offices for people who desire greater connection, balance, and growth in their workday. Through its events, guiding teachers, and members, the Aligned Center is inspiring growth in four dimensions: Heartfelt Community, Lifelong Learning, Mindful Awareness, and Financial Abundance. The Aligned Center is a division of Aligned Wealth. Learn more: www.alignedwealthllc.com. Help this wonderful resource expand its offerings! We invite you to explore and support one of our related organizations, the Chronicles of Chogyam Trungpa which maintains two websites: The Chronicles and Ocean. 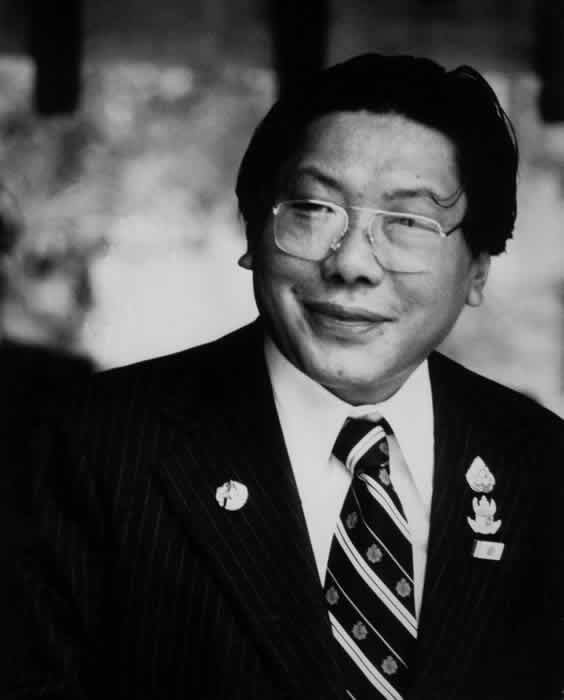 The Chronicles of Chogyam Trungpa is a repository of teachings, articles, interviews, news and podcasts pertaining to the life and teachings of Chogyam Trungpa Rinpoche. It is also on ongoing oral history project, recording and preserving the recollection of people who have been influenced by his work. Ocean is an online community. It’s mission is to further the study and practice of all aspects of Chogyam Trungpa’s teachings, and to nurture community amongst old and new students. Our mission is to further the study and practice of Chögyam Trungpa’s teachings, and to nurture community amongst old and new students alike. We are developing both introductory classes and a broad curriculum of in depth learning, drawing from all aspects of Chögyam Trungpa’s teachings. Learn more here. Lions Roar magazine has put together a collection of writings on how to approach the current political climate from a Buddhist point of view. The day after the presidential election, Lion’s Roar asked America’s leading Buddhist teachers to offer their comments, advice, and teachings to address how so many of us were feeling. We’re honored to present these here; as you will see, what they wrote is wise, heartfelt, realistic, compassionate, and inspiring. In my own sorrow, shock, and fear for the future, these voices have been a lifeline. Click here to read more. The Lion’s Roar Foundation is a mission-driven, reader-supported publisher of Buddhist teachings, news, and perspectives. We are committed to ensuring that the understanding and practice of Buddhism flourishes in the contemporary world.